Geography: Wales, Clwyd. Part of the Wrexham council area. Main population centres: Wrexham, Gresford. Profile: The overwhelming majority of the seat is made up of the town of Wrexham itself, the biggest town in north Wales, situated close to the English border. Wrexham is a former heavy industrial town, once dominated by mining and brewing. In more recent times it has successfully diversified into light and high tech industry and houses the second largest industrial estate in the country to the east of town. Companies operating here include Kelloggs, JCB and Calypso drinks. Politics: Labour has held the seat since its creation in 1935, but not always safely. In recent years its safety has owed much to the opposition support being divided between the Conservatives and Liberal Democrats. The Welsh Assembly seat of the same borders has a much more exotic recent history, thanks to the political travels of the former Labour MP John Marek, who held the assembly seat as an independent after being deselected, failed to hold it for his new Forward Wales party and eventually joined the Conservatives. IAN LUCAS (Labour) Born 1960, Gateshead. Educated at Newcastle Royal Grammar School and Oxford University. Former Solicitor. Contested North Shrophire 1997. First elected as MP for Wrexham in 2001. Government whip 2008-2009, Under-secretary for Business 2009-2010. Resigned as a PPS in 2006 as part of the abortive Brownite coup that forced Tony Blair to name a date for his departure. IAN LUCAS (Labour) See above. Andrew Atkinson selected by Conservatives. Rob Walsh selected by the Liberal Democrats. Shame that Lib Dem support has collapsed round the country. If it hadn`t then they would have a chance of winning this seat. Looks like Labour will hold on. One contributor here – sorry can’t remember his name – thought Tom Rippeth was going to win last time, didn’t believe me when I assured him he wouldn’t, but did at least have the good grace to acknowledge he’d been wrong. Labour won this seat pretty easily in the end even in the face of the so-called Cleggasm, and hasn’t lost here since way back in 1931, so it’s a pretty tall order to imagine that the LDs are about to win it in the foreseeable future. Even though the seat is drawn somewhat less to Labour’s favour than it was before 1983. The Lib Dems did well to halve the Labour majority here last time, it’s not an area where you’d expect them to do well. Didn’t Wrexham almost go Tory in both 83 and 87? 1983: Lab maj was 424. 1987 it was 4,152. The Liberals weren’t far behind in 1983. Wrexham was one of the first results announced in 1987. It was the first one to suggest that Labour had made any progress at all; the earlier results suggested Labour doing even worse than in 1983, as indeed they did do in most of the South of England. Sunderland won’t be interesting this time. Wrexham is usually still early to declare but hasn’t been in the race to be earliest for a few elections now. Unfortunately due to cuts or lack of desire you don’t seem to get as many early results as you used to in terms of getting an indication of the outcome. I think (used to live nearby) pre 1997 the seat was pretty much just the large town of Wrexham itself; after the boundary changes some outlying villages which in the case of Holt/Gresford etc. are 7-8miles or so away now fall within the constituency so it’s not as quick to get all the ballot boxes back. Labour will hold certainly but I’d expect the Tories to be a clear second in May; with a Lab majority of 5-6,000 or so. showing percentage of students that are international ..and the university here (of those outside London) seems to top the percentages… (though I wonder if this isn’t skewed by its Elephant & Castle campus)..
Martin Thomas stood here in many elections for the Liberals, and he’s now in the House Of Lords. Are you sure that all the people you spoke to were actually registered electors in this constituency? Was it a balanced mix of age and gender? You have not listed any as being undecided, so I discount your Straw Poll as being unscientific. Where’s the Plaid vote gone? Surely they would get a few percent. Actually, the figures look feasible otherwise, although I would think the Tory vote might be a bit lower. Are the Greebs some local, Wrexham version of the Green party? The Greebs were a bus load of pensioners on a day out from Wigan. Sir Arthur Greeb-Streebling is making a comeback. Paul Way. You were NOT in Wrexham when you conducted that straw poll. You must have accidentally crossed the border into England, Perhaps you were in Greebland or New Brighton? Labour hold. 5,000 majority. Tories 2nd. That looks a good prediction Shaun; I’m almost with you but think Ian Lucas will win with a slightly larger majority of about 6,000. Agree Tories clear 2nd. A newspaper voodoo poll? Are we back in the 70s? The Welsh Assembly member for Wrexham was Doctor Marek, and for some reason the Labour Party had some “fall out” or disagreement with him. As I recall it Doctor Marek won the seat from Labour. Please correct me if I have mis-remembered the details. John Marek? He was deselected before the 2003 election, was re-elected as an Independent, formed the supposedly hard left Forward Wales party with Ron Davies, lost his seat to Labour in 2007, defected to the Conservatives, ran for them in 2011 and lost by a wide margin. l don’t currently expect the Tories to lose Kingswood, even though l currently expect Labour to win slightly more seats than the Conservatives. If Labour does indeed take it, which is not impossible, then yes it would probably be a bad night for CON. 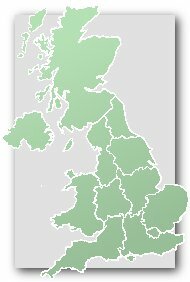 Labour is probably weaker in Tory marginals in the near South-West than anywhere outside Scotland : l also consider Gloucester & Swindon S (though only very narrowly) as being likely Tory holds, though l am pretty sure Labour will take Stroud if only because our candidate David Drew still has a large personal vote. In the far SW l don’t currently foresee any problems for my party in Plymouth Sutton & Devonport. Bristol NW will be a Tory hold, almost certainly, too. Labour majority down here and Tories increased to move into second. Labour Hold – but 2.9% swing to Conservatives. Now Labour should be worried. This is absolutely abysmal for Labour- the results coming in for them are getting increasingly worse and bordering on the disastrous. Ian Lucas has a marginal on his hands for the foreseeable future here. Only 1983 had a smaller majority between Lab and Con. Absolutely incredible. Just looking down the Con target list and taking into account geography, I think a similar swing would give Telford to Con? The way things are going now I wouldn’t be at all surprised TBH. I rest my case LOL. One wonders what will happen in the next 12 months leading up to the Welsh Assembly Elections. The interesting thing will be the regional lists. If UKIP continue to gather votes from Lab on this scale, then it would be possible for UKIP to win one or even two of the regional list seats in North Wales. Its possible that the Conservatives will gain Wrexham before they regain either Chester or Wirral West. It was probably the way that Labour manage the NHS in Wales that caused the decline in enthusiasm for Labour at the ballot box. I think that’s right. It’s a long way ahead of course but (and I have lived in both places and never thought this would happen) I agree with Richard. Given current trends in 2020 I’d expect Labour to get a better result in Chester than Wrexham. I suspect the Tories might have just taken this had it not been for the fact they were starting from third place- I can see them doing it now in 2020. I wonder if Mr Atkinson will remain as the Tory candidate for the Welsh Assembly election next year?